The On-Time automatic Fish Feeder Combo comes ready to install with a 85-lb. capacity hopper & a steel attachment band with welded brackets. Specially designed to dispense round and cylindrical fish food, ideal for maintaining catfish, bream and other varieties of fish. Featuring large-scale motors with agitator rods that extend into the hopper. As the auto fish feeder dispenses, the agitator rod turns, keeping the feed flowing properly and preventing clogging. Comes equipped with a deflector pl.. The new heir to our popular 6.5-gallon Feedcaster and Econo Plus feeders, the Directional Feeder offers game feeder capabilities well beyond its modest price. A new spinner plate with agitator and exclusive anti-clog technology bring a new level of reliability to multiple feed types. Feeder casts in one direction. Schedule up to six daily feed times with programmable timer. Operates on one 6-volt battery, not included. 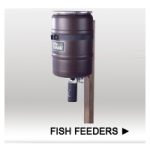 Convenience of a hangable hopper makes it easy to place this feeder any..
AquaPro ADF75 Directional automatic Fish Feeder. State-of-the-art digital electronics with battery charge indicator. This compact AquaPro automatic fish feeder is varmint resistant, has a built-in sight glass, powder coated in hunter green color and is constructed from both heavy gauge steel and 1" galvanized angle iron. All internal seams are sealed with silicone and industrial rubberized coating to help prevent moisture from affecting the fish feed. 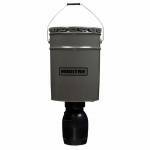 The AquaPro ADF75 fish feeder comes with a p.. The simplicity of Moultrie’s Quick-Lock system allows for easy setup, no tools required. Designed to cast feed in a 30-degree path, our Directional feeder is ideal for use along roads, ponds, or trails when 360-degree casting isn’t needed. The Directional Feeder includes a spinner plate with an integral agitator to improve feed flow and break up clumps before they reach the spinner plate, making it ideal for fish feed and other similar textured feed. Digital timer allows for programming of up to.. The Wildlife Directional Feeder has all-metal construction, a 30-gallon hopper with adjustable legs, and feet that can be mounted to a deck. 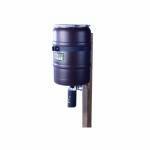 Included Directional Feeder Kit features patented anti-clog design. Digital timer has extendable cord. 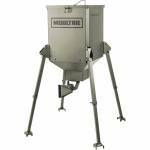 Varmint-proof feed chute throws feed up to 45 feet in one direction. Unique spinner plate and patented vibrating internal agitator design provide optimum anti-clog performance and enhanced reliability Clump-busting cage and powder coating improve f.. 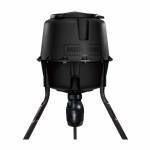 This All Seasons 100lb directional fish feeder is perfect for feeding fish from the pier or pond dam. It can also be used as a directional corn feeder. Features: Easy adjust 45 degree tilt for pond dam slope adjustment Multiple setting for distance adjustment (can vary with wind conditions and feed variance) Fish feed approx. distance (L-40’,M-50’,H-60’) Corn approx. 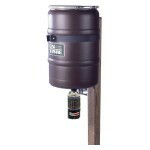 distance (L-50’,M-60’,H-70’+) Easy to fill at 45” tall Varmint proof 100% heavy duty galvanized..